Conductive boron-doped diamond is one of the best electrode materials and has been widely used for different electrochemical applications. Among them, the fabrication, properties, and applications of small-dimensional diamond electrochemical devices (e.g., diamond microelectrode, ultramicroelectrode, nanoelectrode and their arrays as well as scanning probe microscopy tips) have been paid much attention. 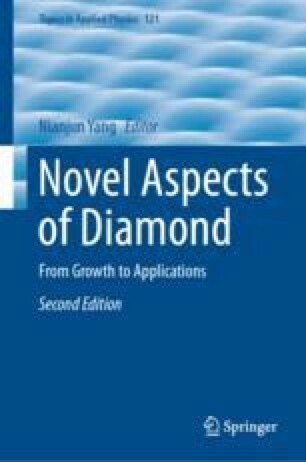 In this chapter we summarize recent progress and achievements with respect to these small dimensional diamond electrochemical devices. The potential applications and future research directions of these devices are also discussed and outlined. The author thanks the financial support from German Research Foundation (DFG) under the project (grant no. YA344/1-1).